OK, every once in a while, I just have to do it! 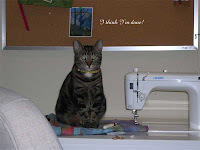 Take pictures of my cat making a quilt, that is. 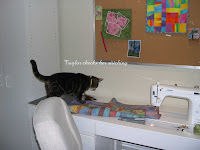 Her name is Taylor and she is an art quilter. The following pictures prove that. I also once had a cat that did sit-ups with me but unfortunately I have no pictures to prove that. 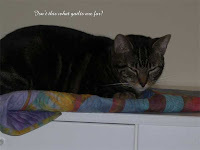 (I think if you click on a picture, it will enlarge, but you never know about blogger). Oh, and she would appreciate any comments you want to make about her work or techniques. 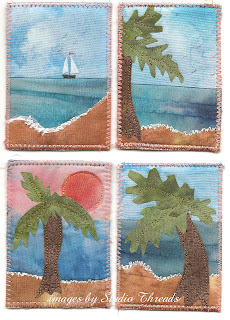 These are my "Beach" series of ATCs. At least the ones I have left as they were made some time ago and I just discovered them in a box. (The perils of moving!) They are made of fabric. Each one is a tiny little quilt. 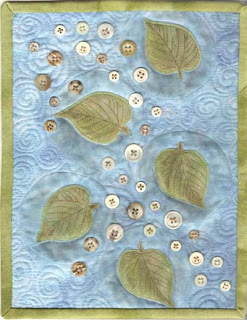 I used Warm and Natural quilt batting and stitched right through the batting as I quilted them. 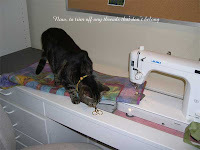 The edges are finished with a zig zag stitch on the machine. These are all machine made. I used a pigment pen to draw the birds in the sky. I am a bit behind in posting because I have been creating. 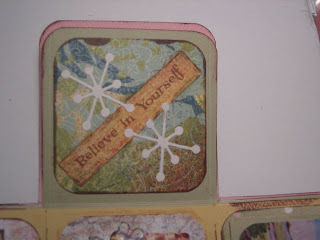 Here are pictures of three new ATCs I made for a swap. 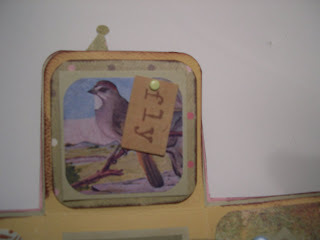 I love using my die cuts and vintage images. Fun! And I bet you recognize that bird again? He has become one of my favorite vintage images. 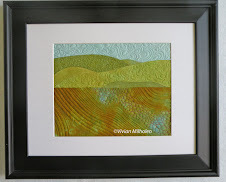 The ATC in the middle is aged by using my Pebbles chalks in earth tones. Pebbles chalks are so easy to use and what most people don't know is that once the chalk is on the cardstock, they won't rub off after a bit of time. They are also acid free. I managed to drive past a scrapbooking store one day that was going out of business and everything in the store was 1/2 off! So, that is how I acquired lots of my goodies to play with. 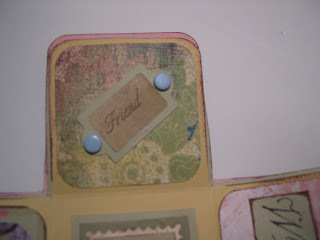 I love the new cardstock by Wild Asparagus and Basic Grey. And I love a bargain! 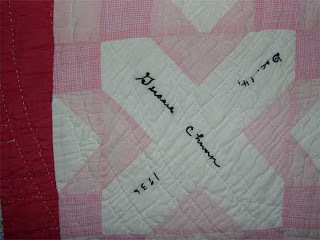 These are pictures of an antique friendship quilt that my mom, aunt and grandmother each made blocks for in 1936. My mom would have been 22 years old at the time. I still love these old quilts. I can imagine the friendship times of sharing that went into making this quilt. 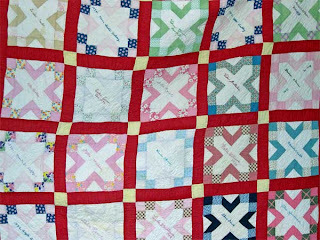 They all took part in handquilting it so that involved sitting around a large quilt frame while their children played outside or even sat under the frame. I wonder how the conversations went. Did they talk about their husbands, their kids, share recipes and tips for getting stains out of laundry? Comparing them to the quilts I now make is quite a contrast. 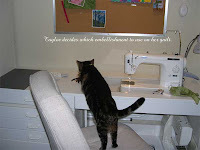 But I am sure that the conversations are probably close to the same when I get together with my friends to quilt. They probably laughed, sometimes cried and felt the magical feeling of kinship with their friends. Of course their tips for laundry stains might involve soaking the item in lemon juice in the sun. Ours might be, have you tried the latest stain removal? 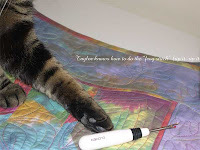 New technology may have changed the way we quilt or do laundry; but one thing doesn't change and that is conversation with a quilting friend is still a magical kinship. Today is our 34th anniversary! Wow, some days I don't feel 34! (But then some days...) But since we have a 32 yo son and a 28yo daughter, guess I must be slightly older than 34! Ha! Today, I got a wonderful card from my hubby and I gave him one that I made (I even made the envelope). Today, we are just going to go out to eat, maybe a movie and wait until the weather is warmer to celebrate the day at the beach. It is so cold here in Virginia. Spring, come on down! Bring out the apple blossoms on the trees and the warm sunshine. OK, got to run and get dressed for a day of adventure somewhere. I'm adding a picture of the card I made. The message inside is a quote by Winnie the Pooh..."If you live to be a hundred, I want to live to be a hundred minus one day so I never have to live without you." Fun! Enjoy life while you can. This was such a fun project to make! It was a gift for a friend. We both like getting handcrafted gifts so I knew she would be the perfect recipient for this. She also collects her initial "S" so I had to add it to this box. Here are some pictures of it. 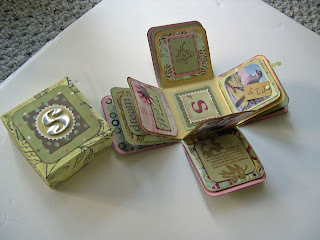 These are details of some of the pages of the box. 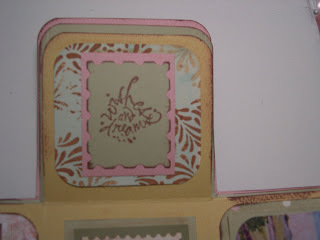 The pages are cardstock, die cuts, vintage images, rubber stampe d and distressed inks. 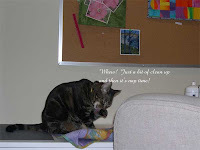 Well, Blogger is not working well this week...it is not showing my images!! I did email them, but to no avail. I did see that I am not the only one. Maybe their new version is not so good after all! I may just jump ship to another blog site if they don't fix it soon! Sometimes you can get the pictures to show up if you hit the refresh button a few times! I think their Beta version is still very much beta. I do know a few other artists already jumped ship to a different blog. Even if it is free, if it doesn't work, why use it? Got to run and make art so I will have photos to add to this hopefully fixed blog. Here I am this morning trying to get blogger to load pictures. If anyone is having trouble with seeing my pictures, let me know. I even reloaded the ones from yesterday and made them smaller. Also, you are suppose to be able to click on them to enlarge and sometimes it doesn't work. I hope it helps. Anyway, not a very pleasant start to a sunny Saturday morning here in Virginia. 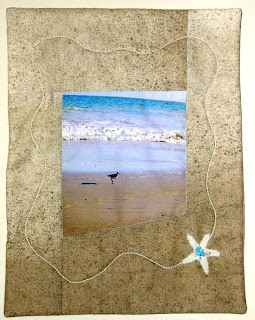 The Starfish is another journal quilt I made a couple of years ago. 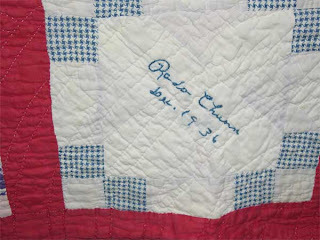 It was in the International Quilt show at Houston and Chicago along with 8 more of it's siblings. 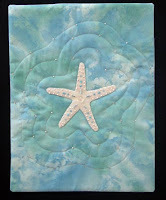 The Starfish is wool, beaded and machine quilted. It reminds me of where I would like to be on this cold day in February. I made it because while walking on the beach one morning, my husband and I saw a starfish in the sand, still alive, washed up on shore. We stood by it so no one would step on it until it was washed back into the sea. I saw the news this morning on the Florida destruction from the tornado. We have lots to be thankful for today. I often think about what would be most precious to me of my material things that I would want to save. I think it would be our family pictures, my children's artwork and a few quilts. Some of those people that were interviewed said they had nothing left...they couldn't even recover their precious memories. One lady said she grabbed her purse and checks and walked out through her wall that was already blown away. She was probably smart about that. Without your identification, it might be hard to get anywhere. At least it would here in the DC area. Yesterday, I carved some really neat stamps! I plan to use them on some artwork that I hope to sell. 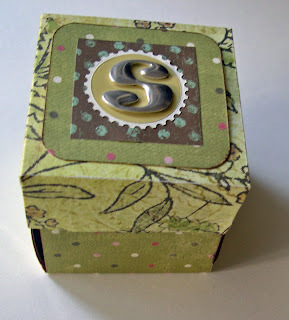 Since most rubber stamps are copyrighted, you can't use them on items you want to sell. 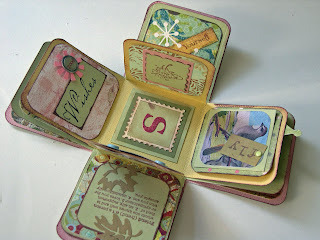 So, I hope to get the pictures of the stamps loaded later today if Blogger will cooperate with me, that is. And, I love to read the comments, too...thanks! If anyone wants to post and you don't have a Google or blogger account, you can post anonymous but please leave your first name so I know who it is or if you have a blog, leave the URL so I can see your work, too. Happy Saturday! I made some neat ATCs yesterday. I got the idea from here. 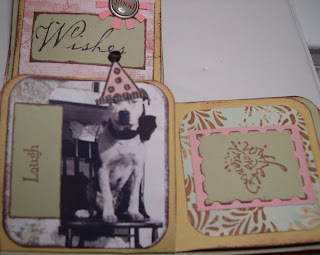 This is the February challenge on the Creative Cards Yahoo group. I usually just scan the messages but they are really doing some great techniques in this group! 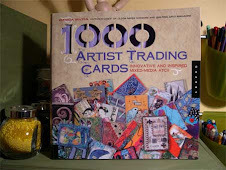 Not your run of the mill card making group. 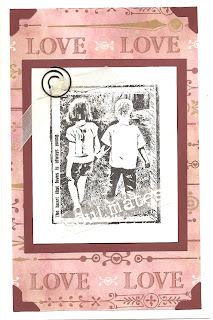 The backgrounds on my ATCs are stamped with black ink, inked with Colorbox inks using a makeup sponge and cut. I just added a bit of "sunshine" on them...flowers that are die cut. The little squares are 1". Fun! The ATCs are 2 1/2" x 3 1/2". I use to make them from fabric but I haven't done that in a while. 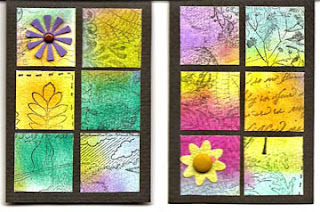 I scanned these so the ATCs are a little crooked on the page. I think you should be able to click on them to enlarge. I'm not too sure about this new blogger thing. I updated my blog to the "new" blogger version. I hope I can understand it! I was fine using the old method. This new one is suppose to be better. Got to keep up with technology!